The Pittsburgh Penguins have a lot on the line coming into the 2014-2015 NHL season. The players must redeem themselves after last season’s epic playoff collapse. Remember back in April when there were few National Hockey League teams hotter than the Pittsburgh Penguins? The Pens had captured the inaugural Metropolitan Division crown and boasted a 51-24-7 win, loss, and OTL record. Things looked pretty good for the ‘Guins. It wasn’t meant to be, as the eventual Stanley Cup Final runner-up New York Rangers dealt the Pens a brutal game 7 loss at Madison Square Garden. This came after the Pittsburgh Penguins had a three games to one lead on the Blueshirts. Or to put it this way, the Pens just needed one more win to advance to the Conference Finals. General Manager Ray Shero was fired almost immediately after the Pens lost Game 7 to the Rangers on May 13. However Head Coach Dan Bylsma wasn’t let go… yet. Instead team CEO Dave Morehouse seemed to let Bylsma think he was secure in his position in an attempt to prevent the coach from getting hired away by another team. Bylsma was officially let go on June 6, roughly three weeks after Shero. Now the Penguins off-ice leadership consists of new GM Jim Rutherford and rookie head coach Mike Johnston. How far the Penguins go is still squarely on the shoulders of the players. The team’s rookies and free agent acquisitions will have to lean on veterans like MVP Sidney Crosby and perennial All-Star Evgeni Malkin more than ever. However the team and coaching staff get along, at least the team won’t be left fully exposed on the rink. That’s because a new alternate jersey has been given the go-ahead by the league office. The new look uses a color known as “Pittsburg Gold” and the ubiquitous Black instead of the long-running “Las Vegas Gold” and Black color scheme. And this color isn’t purely a fashion driven choice; “Pittsburgh Gold” has a prominent place in the teams history books. The alternate jersey is “reminiscent of the early 1990s Penguins team that won two Stanley Cups in 1991 and ’92,” according to the league’s website. 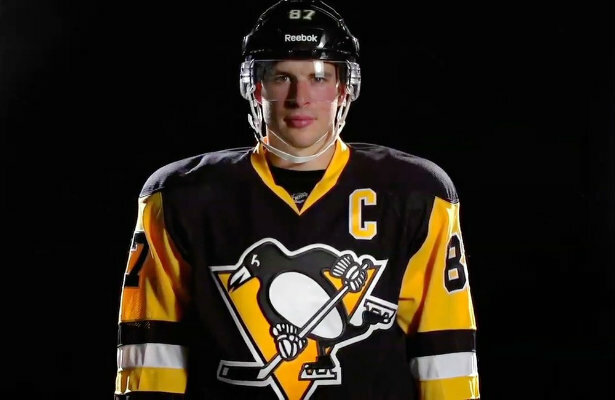 The new Pittsburgh Penguins alternate jerseys will officially hit the ice on October 22. They will be worn a total of 12 times over the course of the Penguins 48th season, according to City of Champions Sports. Now if the Pittsburgh Penguins play as good as they look, they might just very well match the New York Rangers, New York Islanders, and Ottawa Senators for the 6th most Stanley cups (4) of all time.